The Trademark Act and its related regulations govern the registration and protection of trademarks in Japan. The Examination Guidelines for Trademarks also play an important role in the examination of trademark applications at the Japan Patent Office (JPO). The most recent revisions to the examination guidelines took place in April 2017, which include clarifying the criteria for judging the similarities between trademarks. In addition, the Unfair Competition Prevention Act protects well-known trademarks, both registered and unregistered, as well as certain configurations of goods, from unauthorised use. Under the Trademark Act, unregistered marks are protected only in certain circumstances. the prior user has no intention of engaging in unfair competition in its use of the unregistered mark. may assign the mark only along with its business. Unregistered marks that are well known or famous, as well as certain configurations of goods, are protected under the Unfair Competition Prevention Act. The act provides that where unfair competition causes damage to a person’s business, that person may seek an injunction and, if the damages were caused negligently or intentionally, compensatory damages. imitation of the configuration of another’s goods (except when such configuration is indispensable for ensuring the function of the goods themselves). An individual or corporation that intends to use a trademark for goods or services related to its business may apply for trademark registration and own a trademark. Actual use is not a requirement for trademark registration. A power of attorney is unnecessary when applying for trademark registration. Protected: The Trademark Act provides that a trademark should be recognisable by human perception and shall consist of characters, figures, signs, three-dimensional (3D) shapes, colours or any combination thereof, or sounds, and be used for goods or services relating to the applicant’s business. In April 2015, motion marks, hologram marks, colour marks per se, sound marks and position marks also became registrable as trademarks. A trademark right is granted when an examiner of the JPO determines that the mark meets all registration requirements. It is an exclusive right to use the mark with respect to designated goods or services, which becomes effective throughout Japan upon registration of the trademark with the JPO. The Trademark Act follows the first-to-file principle. The application does not violate any treaties. Some trademarks that lack distinctiveness – excluding generic terms – may still be registered if the applicant can prove that they have acquired distinctiveness for specific uses. Further, a well-known trademark consisting of a geographical name and a generic term for a product or service that is owned by an industrial business cooperative association, a commerce and industry association, a chamber of commerce and industry or a specified non-profit corporation (including an equivalent foreign legal entity) may be registered, provided that it fulfils the other requirements. Even if a mark is sufficiently distinctive, it will be rejected if it falls under one of the various bars set out in Section 4 of the Trademark Act concerning the public interest or an individual interest. trademarks that comprise foreign well-known trademarks and are used in bad faith. trademarks that are identical or similar to another’s well-known trademark in Japan or abroad as identifying the relevant goods or services if the applicant uses such mark in bad faith. An applicant may file a trademark application with the JPO in person, by mail or online. Once formal registration requirements are satisfied, the examiner will consider whether the application meets the substantive requirements for registration. If the examiner finds reasons to reject the application, he or she will notify the applicant accordingly within 18 months. The applicant may submit written arguments or amendments in response. If the applicant does not reply to the JPO’s notice, or if its written arguments or amendments fail to overturn the reasons for rejection, the JPO will issue a refusal decision. The applicant may appeal the JPO’s decision, which will become final and conclusive if no appeal is sought. If an appeal is requested, the application will be scrutinised by a panel of trial examiners. If the panel issues an unfavourable ruling, the applicant may appeal to the IP High Court; if it fails to do so, the rejection decision becomes final. If the examiner determines that there are no reasons to reject the application, or if such reasons are defeated, he or she will issue a registration decision. In practice, it takes an average of six to eight months from filing an application to a registration decision, if the JPO finds no reason to reject the application. A trademark right is established upon registration of such right with payment of the registration fee. The trademark registration will then be published in the Trademark Gazette. The term of protection lasts for 10 years from the date of registration. The trademark right may be renewed every 10 years by filing a request for renewal within six months prior to the expiration date. Anyone may file an opposition to registration within two months of the trademark being published in the Trademark Gazette. Once an opposition is filed with the JPO, the panel of trial examiners will consider whether it has merit. The grounds for opposition are similar to the reasons for rejection in the examination stage (ie, lack of distinctiveness and unregistrability). If the JPO intends to accept the opposition and revoke the registration, it must provide notice of the reasons for this and give the rights holder an opportunity to contest such notice. If the rights holder succeeds in its arguments against opposition, the trademark registration will be maintained; otherwise, it will be revoked. The opponent may take no action against a decision to maintain the registration. Thus, in order to contest a registration once maintained, the opponent must demand an invalidation trial. In case of a decision to revoke registration, the rights holder may appeal to the IP High Court. If it does not appeal, the decision becomes final and conclusive. Aside from successful opposition, a registered trademark may be removed from the Trademark Register for the reasons outlined below. Cancellation/surrender: A rights holder may voluntarily cancel its trademark right. The cancellation may apply to all or only some of the designated goods or services. Invalidation: An interested party may request a trial to invalidate a trademark registration on the basis of similar grounds to those available in an opposition to trademark registration; additionally, invalidation may be sought based on some facts that occurred after registration. An invalidation trial may be commenced even after a registered trademark right has expired or has been relinquished. However, an invalidation trial based on grounds such as lack of distinctiveness or individual interest prohibitions may not be brought more than five years after the date of registration. Once a decision to invalidate a registration has become final, in principle, the trademark right is retroactively deemed never to have existed. Non-use – if a registered trademark has not been used in Japan by a rights holder or its licensee for at least three consecutive years. Improper use – if a rights holder or its licensee uses a registered trademark in an improper manner. Similar trademarks owned by different persons – if similar registered trademarks come to belong to different persons as a result of the transfer of a registered trademark right, and one person uses such mark with the intention of committing an act of unfair competition and in a manner that may cause confusion with the other’s goods or services. Where a trademark owner’s rights are registered in a country that either is a signatory to the Paris Convention or the Trademark Law Treaty, or is a member of the TRIPs Agreement, the rights holder may seek revocation of a Japanese trademark registration if its agent or representative files the trademark application without the owner’s authorisation, within five years of such unauthorised registration. The JPO provides a public database called the Japan Platform for Patent Information, in which trademarks can be searched in a variety of ways. The unauthorised use of a mark that is identical or similar to a registered trademark in relation to identical or similar goods or services constitutes infringement. The Trademark Act provides that certain preparatory activities shall be deemed to constitute infringement. These include: the possession of the designated goods, or goods similar to the designated goods or services, affixed with the registered trademark or a trademark similar thereto on the goods or their packaging for the purpose of assignment, delivery or export; and the manufacture, assignment, delivery or importation, as a business, of products to be used exclusively for the manufacturing of products indicating the registered trademark or a trademark similar thereto. Where infringement occurs, the owner of the registered trademark (or its registered exclusive licensee) may enforce its rights by filing a trademark infringement suit in district court. Alternative dispute resolution before certain private entities, such as the Japan Intellectual Property Arbitration Centre, may also be considered. Remedies for trademark infringement available under the Trademark Act are outlined below. Civil remedies: The plaintiff may seek an injunction against an infringing party (or a party that is highly likely to infringe) which acts with or without negligence or wilfulness. Together with an injunction, the plaintiff may seek an order for destruction of the infringing goods and removal of the facilities used to commit the infringement, as well as other measures necessary to prevent the infringement. The plaintiff may also seek a preliminary injunction. To obtain this, the plaintiff must show irreparable harm due to the infringement; courts sometimes require that a bond be posted. an amount equivalent to the deserved royalties. Where the rights holder proves the amount using one of these measures, this will be presumed to be the damages incurred. However, the rights holder may seek actual damages exceeding this by proving the amount of such damages. A plaintiff may additionally claim other damages, such as consequential damages (eg, intangible damage to brand reputation) and attorneys’ fees, although the courts tend to affirm claims for attorneys’ fees only to a limited extent. There are no punitive damages under the applicable Japanese laws. The rights holder may seek an order for rehabilitation of brand reputation, including corrective advertising. Criminal penalties: Intentional trademark infringements are subject to criminal penalties of up to 10 years’ imprisonment and/or a fine of Y10 million in certain cases. Civil remedies: The owner of a well-known/famous registered or unregistered trademark whose business has suffered (or is likely to suffer) damage from unfair competition may file suit in a district court seeking an injunction against an infringing party (or a party that is highly likely to infringe), regardless of whether that party is acting negligently or wilfully. The plaintiff may also seek an order for the destruction of the infringing goods and removal of the facilities used to commit the infringement, as well as other measures necessary to prevent the infringement. In case of negligent or intentional infringement, the rights holder may claim compensatory damages. As with the Trademark Act, the Unfair Competition Prevention Act also provides optional measures for calculating the rights holder’s damages. However, unlike under the Trademark Act, negligence is not presumed. an order for rehabilitation of brand reputation, including corrective advertising in the case of negligent or intentional infringement. Criminal penalties: The misappropriation of a well-known mark with the intent to commit an act of unfair competition is punishable by imprisonment and/or a fine. A party which is not satisfied with the district court’s decision may appeal to the competent appellate court, whose decision may subsequently be appealed to the Supreme Court on limited grounds. A rights holder or applicant may assign its rights relating to the trademark or trademark application. The assignment documents need not be notarised or legalised. Assignment of status as applicant: The assignor or assignee must file a notice of change of ownership with the JPO. The assignment will take effect once such notice is filed. Assignment of registered trademark: An application to register the transfer of a trademark right must be filed either by both the assignor and the assignee, or by the assignee alone if it has obtained such consent from the assignor. The change in ownership will take effect once it is entered in the Trademark Register. If an applied-for or registered trademark transfers by merger, inheritance or other general succession, this will have immediate effect. However, the successor must notify the JPO by filing a notice of change of ownership of the application (before registration) or an application to register the transfer of the trademark right (after registration). Exclusive licences (senyo shiyoken) must be registered to be effective. While registration is not compulsory for non-exclusive or exclusive licences other than senyo shiyoken, registration will allow the licensee to maintain its rights to the trademark in the event of any third party’s subsequent acquisition and/or exclusive licence for such trademark right. Where a trademark – especially a 3D trademark – is a new technological invention or device, it may also be protected as a patent under the Patent Act or as a utility model under the Utility Model Act. If the trademark is a new, functional and ornamentally featured design, it may also be protected as a design under the Design Act. However, these rights are protected only if they are registered with the JPO. Where the trademark is an original and creative expression as a result of intellectual or cultural activities, it will also be protected under the Copyright Act, without any registration. The Companies Act prohibits the bad-faith use of a trade name or company name that causes confusion with a different company’s name. The Trademark Act provides that the ‘use’ of marks includes use on the Internet in the following manner: providing trademarked goods or services via the Internet (eg, online distribution of trademarked products); providing services through a website displaying a trademark (eg, mobile banking services displaying trademarks on the monitor or screen); and providing information consisting of advertisements, price lists or other business documents relating to trademarked goods or services on or through the Internet. Protection under the Unfair Competition Prevention Act extends to an act of unfair competition on the Internet. With respect to cybersquatting, the Unfair Competition Prevention Act protects owners of registered and unregistered marks by providing that no one may obtain, keep or use in bad faith a domain name that is identical or similar to a trademark owned by a third party. 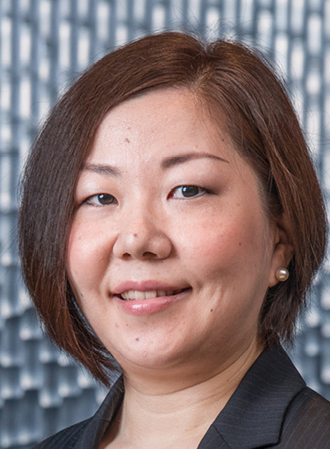 Hitomi Iwase is a partner at Nishimura & Asahi, specialising in copyright, patents, trademarks and trade secrets in multiple business sectors, including information technology, life sciences and healthcare, energy, entertainment, financial services, e-commerce and retail goods. 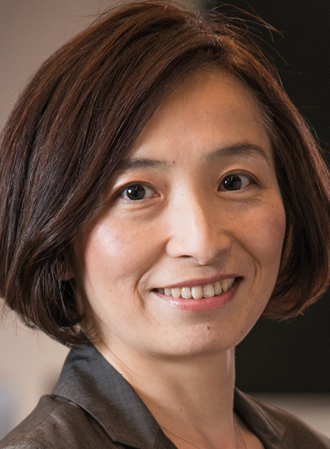 Ms Iwase’s expertise encompasses all forms of transactional work, including licensing, strategic alliances, joint development, asset transfers, financing and advising on development of IP portfolios and prosecution strategies, as well as various IP disputes. She obtained an LLM from Stanford Law School and an LLB from Waseda University, and she is admitted to practise in Japan and New York. She speaks Japanese and English. Tamao Shinbo is a patent attorney at Nishimura & Asahi. She prepares and drafts documentation in connection with applications made to the Japan Patent Office and provides assistance to clients with regard to major trademark and IP transactions. Ms Shinbo earned her BA from Ochanomizu University and was admitted by the Japan Patent Attorneys Association in 2005. In 2010 she was certified as a specific infringement lawsuit counsel. She speaks Japanese and English. 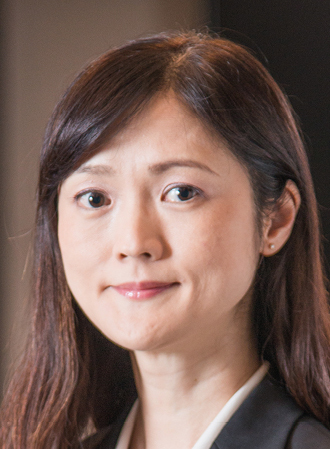 Chisako Yagi is a patent attorney at Nishimura & Asahi, specialising in trademark prosecution, including oppositions, invalidations and cancellations at the Japan Patent Office. Ms Yagi also has expertise in online counterfeit and trademark infringement issues. She earned her LLB from Aoyama Gakuin University and was admitted by the Japan Patent Attorneys Association in 2012. In 2017 she was certified as a specific infringement lawsuit counsel. She speaks Japanese and English..